The Moscow Kremlin, sometimes referred to as simply the Kremlin, is a historic fortified complex at the heart of Moscow, overlooking the Moskva River (to the South), Saint Basil’s Cathedral and Red Square (to the East) and the Alexander Garden (to the West). 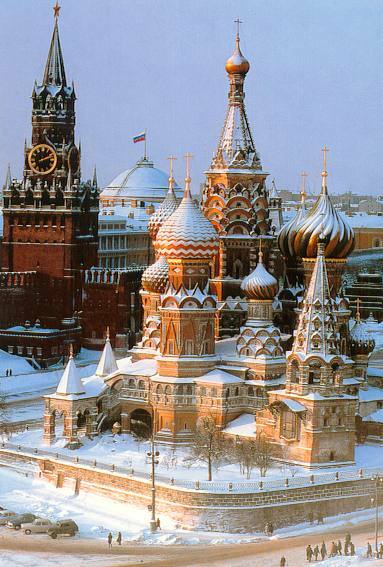 It is the best known of kremlins (Russian citadels) and includes five palaces, four cathedrals and the enclosing Kremlin Wall with Kremlin towers. The complex serves as the official residence of the President of the Russian Federation.